The Russian aircraft flew close to NATO-controlled airspace. On July 27 a Royal Air Force Typhoon scrambled Russian Tu-22 jets over the Black Sea. 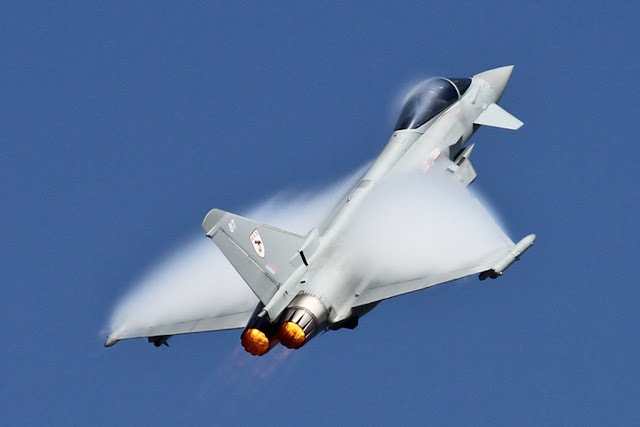 The Eurofighter took off from from the Romanian Mihail Kogalniceanu Air Base, Romania, to supervise the route of Russian Tu-22 Backfire strategic bombers close to NATO airspace. The Typhoon supervised remotly the route of the Russian aircraft in agreement with the NATO directives to reinforce the defense of Romania's airspace. The Royal Air Force is currently involved in the NATO Air Policing mission in Romania. In February the quick reaction alert Typhoon fighter jets from RAF Lossiemouth and RAF Coningsby took off to monitor two Russian Air Force Blackjack bombers flying in the UK area of interest (More details here). A RAF detachment composed by four Eurofighter jets and 150 personnel arrived in Romania three months ago for air policing missions in Eastern Europe (More details here). The RAF is no stranger to the NATO air policing mission, it has deployed Typhoons to the Baltic States in recent years in support of the long-standing routine NATO mission. This latest deployment in the south falls under the Alliance's Assurance Measures introduced in 2014, when the Alliance started implementing them with the goal to demonstrate the collective resolve of Allies, demonstrate the defensive nature of NATO and deter Russia from aggression or the threat of aggression against NATO Allies.